Chrissy Teigen's pregnancy cravings have been super sized if her latest Instagram posts are anything to go by! 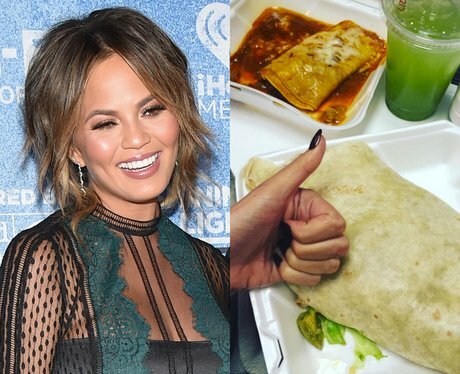 The star and wife of crooner John Legend posted snaps of a giant burrito on social media, proving that spicy food and big portions are a girl's best friend during pregnancy. We'll help you finish it Chrissy…we're starving!